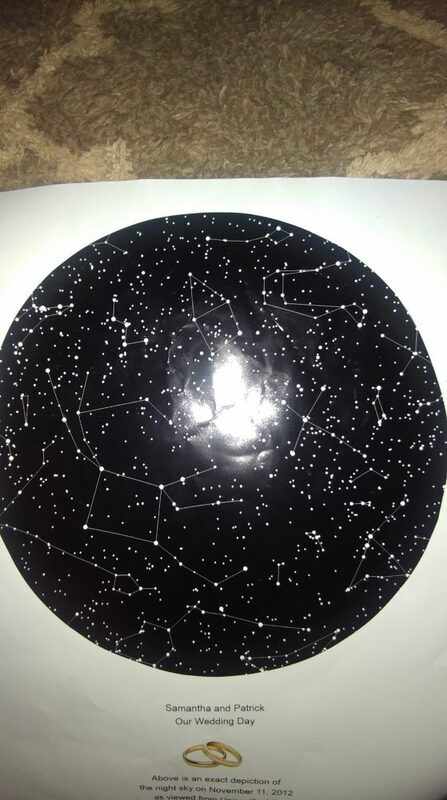 This is the night sky on the evening we were married. We were married on 11/11 (yes, we made a wish!) and wishes do come true. A lot has happened to us in the last 6 years of marriage including the births of our boys. We have loved deeply and we have lost as well. Creating a My Sky Moment is a lot of fun. I love how much you can customize each piece and make it even more unique. First you choose your location. We picked the town in which we were married. Next pick a date. There are so many important dates in our lives but I wanted the one that started our journey. There are color templates but I really love the white. It is clean and with the dark sky image is just goes together but obviously not everyone will choose the same. Checkout is super simple PLUS you can choose rush shipping or add the image to a canvas. Professional framing is also offered for an additional fee. At checkout I see that this amazing custom piece of artwork is only $49.95 which is a steal! I love having custom art in our home and this has been one of my favorite pieces. What are you waiting for? Valentine’s Day is literally days away, guys! 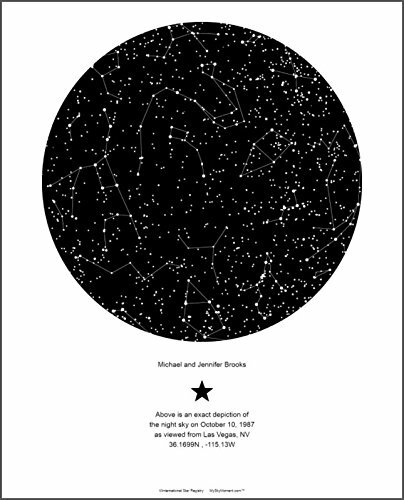 We are still adding products to our gift guide for those last minute shoppers, but this is a must-have to see exactly what the night sky looked like on your memorable day!